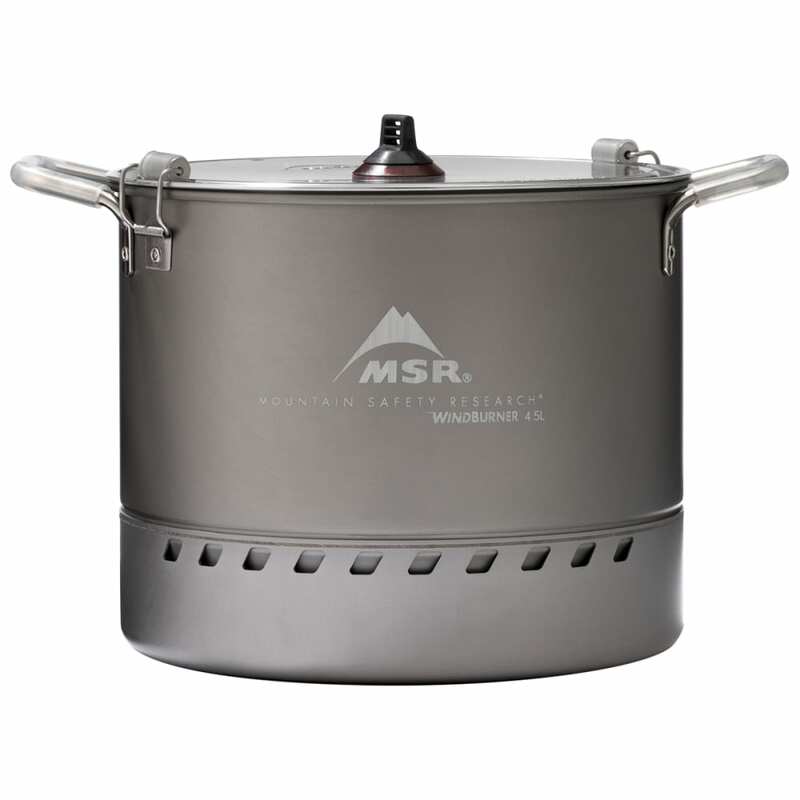 Not only is the WindBurner Stock Pot perfect for large-volume cooking, it features an integrated heat exchanger that delivers ultra-efficient boil times, to cook meals quick for hungry groups at camp. 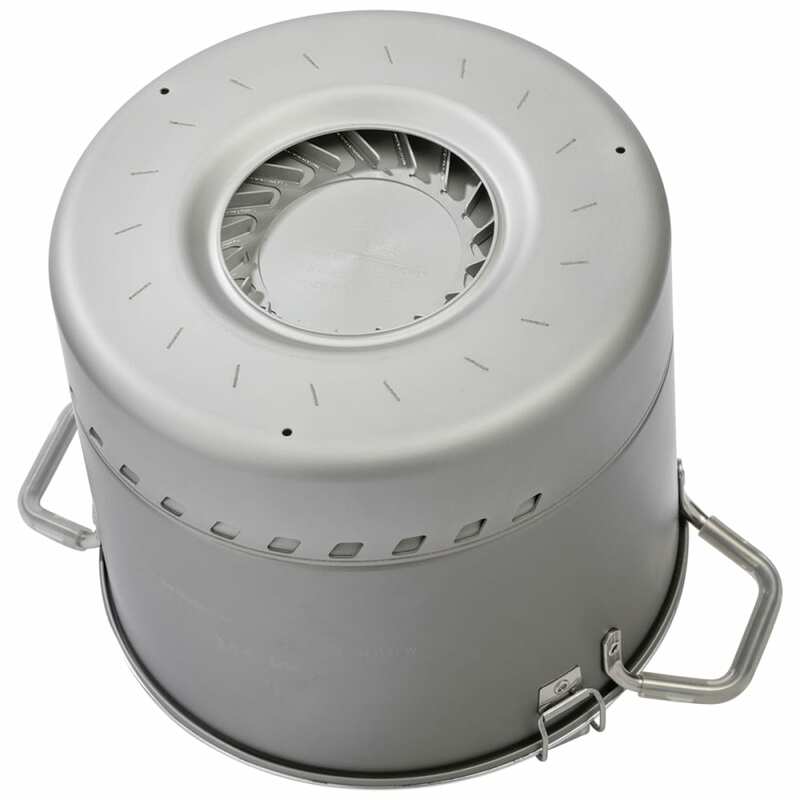 The perfect accessory pot for WindBurner Stove Systems, the 4.5L hard-anodized aluminum pot features fixed handles for easy lifting and a strainer lid with locking latches. Compatible exclusively with WindBurner Stove Systems. Not for use with the WindBurner Personal Stove System. Volume (fluid ounces): 152 fl. oz. Weight: 1 lb., 4 oz.